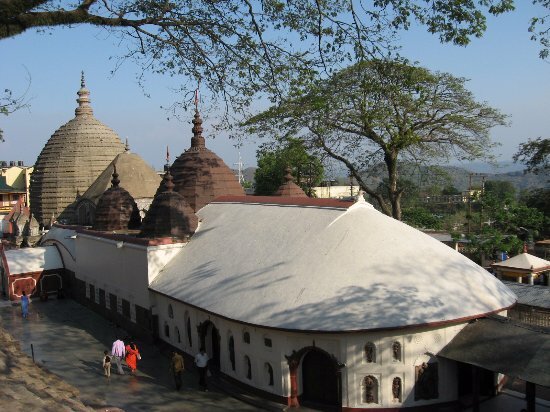 In a bid to boost the tourism, the Assam government has earmarked Rs 300 crore in the 2019-20 state budget for upgrading the basic amenities at over 1,000 religious, historical and other places of tourist attraction across the state even as the government has also decided to increase the annuity grant for Devalayas. Finance minister Himanta Biswa Sarma said this on Wednesday while presenting the state budget 2019-20 and added that the government envisages that this tourism development initiative will have huge positive socio-economic impact on the State. “Under a new scheme called Asom Darshan, our government has decided to develop and publicise various places of tourist interest, including those blessed with natural beauty as well as those of religious or historical importance, in a focused manner,” said Sarma in his budget speech. Giving the details about Assam Darshan, the minister said while the Government has decided to increase the annuity amount by Rs. 2 lakh for each religious institution, another one-time grant of up to Rs.1 lakh will be given to all these religious places for setting up CCTV cameras for enhanced security. “Although Assam has numerous places of natural beauty and historical significance which are visited by lakhs of tourists from all over the country and abroad, yet lack of adequate amenities causes much inconvenience, particularly for the women and elderly persons. “Our government has decided to allocate Rs.50 lakh for each destination for this purpose. The scheme will be implemented by the Tourism department and I have made a budget provision of Rs.150 crores for this purpose,” he said. Sarma further said that the government has drawn up a list of around 316 destinations for upgrading of basic infrastructure and amenities. “Assam is also endowed with many religious places representing all major religions – Hinduism, Islam, Buddhism, Jainism, Sikhism etc. However, in many of these places, the lack of essential facilities creates a huge challenge and makes the experience of the devotees and tourists less than pleasurable. “The government will provide Rs 10 lakhs to each of the identified places and the scheme will be implemented by the deputy commissioners of the respective districts (or Principal Secretaries of 6th Schedule Area Districts, wherever applicable) and the necessary budget has been earmarked under the transformation & development department,” he said. “The government has also decided to put all its efforts for improving the condition of road linkages to these places of interest. The Public Works Department will spearhead this initiative and we will provide Rs.150 crores for this purpose,” said the finance minister. Sarma added that a total budget of Rs. 300 crore has been allocated for the first phase of Asom Darshan Scheme, which proposes to cover a total of 1,008 destinations.